While on DIRECT Cape Town, you will experience life in one of the most cosmopolitan cities in the world. During this 2-week travel experience, you will meet students from all over the country and explore the #1 travel destination in the world (according to the NYTimes, and we happen to agree). Our staff will meet you at the airport and arrange group transportation back to your apartments. 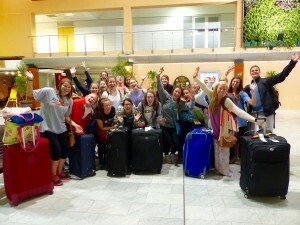 Once you have recovered from the flight, we will jump into orientation and a delicious welcome dinner with local cuisine. The itinerary focuses on the highlights of the city including three days of hands-on service and plenty of free time to explore the city on your own. 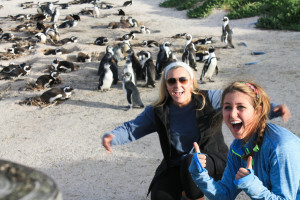 You will tour the city, hike Table Mountain and see African penguins on Boulders Beach. You will serve and connect with the families in a township by providing after-school camps with activities like sports, arts and crafts, music and dance. We have volunteered in this township for the past seven years, so the children and families love meeting new LeadAbroad students. Apply here to join us on DIRECT Cape Town! 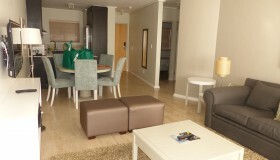 The accommodation in Cape Town is phenomenal. You will stay in luxury, seaside apartments just 10 minutes outside of the city center, with three other students of the same gender in a two-bedroom apartment. 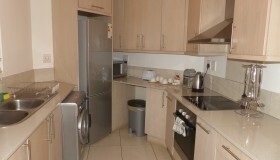 The apartments are very spacious with a stocked kitchen, living area and balcony. On the property, there are three restaurants (if you like sushi you are in luck), a gym and a spa. 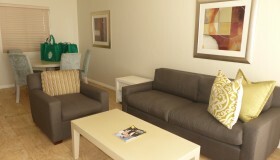 The apartments are in a safe neighborhood with beautiful beachfront views. Cape Town is an adrenaline junkie’s dream. You can hike Table Mountain, go surfing, try your luck at sand-boarding and even skydive – if you dare. We partner with a local adventure company so every adventure you could want is at your fingertips. Also, if you want to extend your DIRECT trip, you can always book the Garden Route adventure add-on. See details below! As a DIRECT Cape Town student, you can choose to stay for another three days if you would like to experience the Garden Route. You must first apply to DIRECT Cape Town and then you may reserve your spot on the Garden Route. Add-on trips are non-refundable. Please review refund policies here. We leave Cape Town and head towards the Garden Route where we visit a private Game Reserve to go on a Safari searching for animals such as lions, rhinos, cheetahs, giraffes and more! 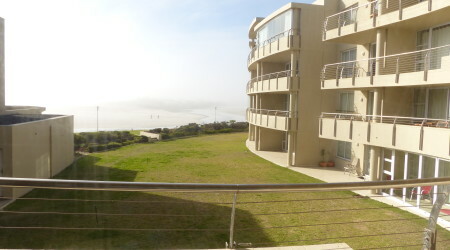 We arrive in Sedgefield in the late afternoon where we will have time to spend on the beach. We explore everything the Garden Route has to offer. We visit a monkey sanctuary and an elephant sanctuary where you can interact with, feed and walk trunk in hand with these huge mammals. We then head to Bloukrans Bridge, at 719ft this is the World’s highest bridge bungee jump! We then spend the night back in Sedgefield where we will also experience a traditional South African Braai! We leave Sedgefield and drive to Gansbaai to go cage diving with Great White Sharks! This is one of the most incredible wildlife experiences you can do! We then drive back to Cape Town along a scenic mountain pass. You will return from the tour and be dropped off at the airport on Sunday, May 27 around 6:00 p.m. We strongly recommend that students who are participating in the add-on book the DIRECT Cape Town group flight arranged by LeadAbroad. Flight details will be released in the Accepted Student portal in December. 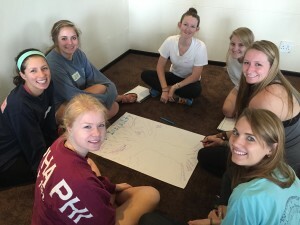 Service week is often the highlight of our students’ experiences. You have the chance to work in a local township and provide after school programs for students of all ages. During this time you may lead an afternoon of field games, paint a mural or learn dance moves from the kids. We guarantee you will not be disappointed as you connect with the local community. We have been serving in the township of Sir Lowry’s Pass for the past eight years. We partner with the local soup moms—the matriarchs of the community—to find out what the community needs each year. We are committed to providing sustainable service, which is why we work in the same community year after year. In addition to providing after school camps, you will have a chance to dive deeper with a local family and hear their story. 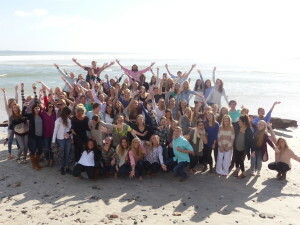 This personal approach to service means that you get to see another way of life firsthand. Rather than just painting walls or picking up trash, we believe it’s important for you to gain a new perspective. And, engaging with a local family to better understand life in a township is a good beginning. In our years of leading transformative experience s, we have discovered the secrets to ensure you gain the most from your trip. DIRECT Cape Town combines the best aspects of our lessons into a few, brief workshops. Whether you are discussing your time in the township, creating your personal vision statement or sharing personal obstacles with the group, the workshop environment focuses on your personal development. Once you are accepted, we will provide detailed i nformation regarding how to book your flight to Cape Town. 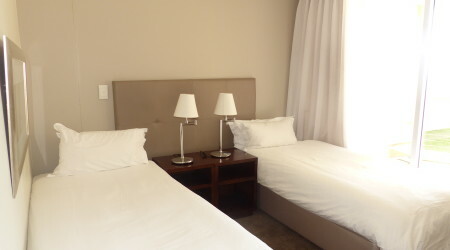 We will give you a recommended itinerary (or group flight details for students participating in the Garden Route Add-On) and meet you at the airport. Our staff will be at the terminal waiting for you with huge posters and even bigger smiles. We will also coordinate your transportation to the apartments if you arrive within the designated group arrival time frame. Your safety is our number one priority on all programs. We execute safety procedures in Cape Town including assessment, education, security measures, ongoing monitoring and emergency response protocol. The LeadAbroad Policies, Terms & Conditions document outlines these policies in detail. We want every student to remain healthy on the program so they can get the most of their time in Cape Town. Though we are prepared to handle inevitable health issues, we certainly do not want you to miss out on the adventures and fun. Therefore, we combine pre-departure preparation with on the ground strategies to ensure our students are healthy and happy. Prior to departure, every student will complete a detailed health questionnaire. We encourage you to visit your doctor and dentist to ensure that you are up to date on all vaccinations and have complete supply of prescriptions. We also offer international medical insurance through TW Lord & Associates for all LeadAbroad students. It is important to note that this is different than trip protection and travel insurance. We will provide many more details on health and safety information in the student login after you are accepted.